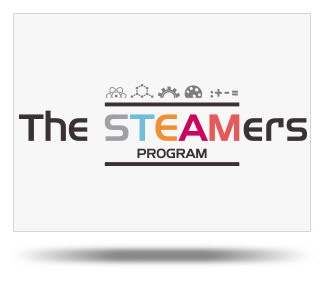 “The STEAMers” program operates along the international S.T.E.A.M Centers standards. Its initials refer to Science, Technology, Engineering, Arts and Mathematics. The program offers a series of workshops on Robotics, Coding, Film Making, Photography, Graphic Design, Creative Writing, Music, Drama and Art. The workshops aim for young people’s creative development, entertainment and learning, the enhancement of their creativity and communication skills, as well as their personal development and wellbeing. The participants will have the opportunity to meet, experiment and learn new programs, use their imagination, create, gain skills and cultivate their interests. The workshops address children and young people aged 6-35 and are conducted by specialized trainers. Click here to see this year’s workshops program. The Youth Board of Cyprus offers a series of workshops on Robotics, Coding, Film Making, Photography, Graphic Design, Creative Writing, Music, Drama and Art at Youth Multicentres in Nicosia, Limassol and Paphos. These workshops aim for young people’s creative development, entertainment and learning, the enhancement of their creativity and communication skills, as well as their personal development and wellbeing. The workshops are conducted by specialized trainers and address children and young people aged 6-35. The organization might request the participants to provide relevant documents (birth certificate or ID). A 25% discount will apply for siblings and Student Card or Youth Card holders. Every participant can participate in more than one workshops, depending on the availability. The fees are due in full within 15 days from the date when the applicant is informed that his/her application has been approved. For siblings, the fees are payable in two equal installments: the first one as mentioned above and the second one within the first fifteen days of the next month from the date when the second sibling is informed that his/her application has been approved. People eligible to Guaranteed Minimum Income or the children (minors, soldiers, students) of families who receive the GMI will be exempted from fee payment, provided that they present relevant valid certificates from the Ministry of Labour or a copy of their bank statement of the previous month from the registration date, which shows the transferred GMI amount, within the deadline mentioned above. In case of failure to do the above, the participation in workshops will be cancelled automatically. Every workshop will meet 30 times per year, unless noted otherwise in the program. Applications can be submitted online on our website or at Youth Multicentres. Applications can be submitted throughout the year, but their approval depends on availability. The workshops start throughout the year, as soon as there is a sufficient number of applications. In case a participant registers after a workshop has already started, a proportional amount of fees will be calculated, based on the date of registration.